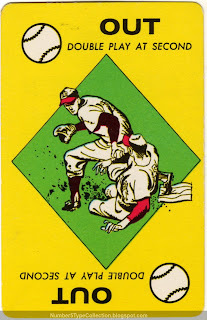 The Ed-U-Cards Baseball game is even older, first issued in 1949. 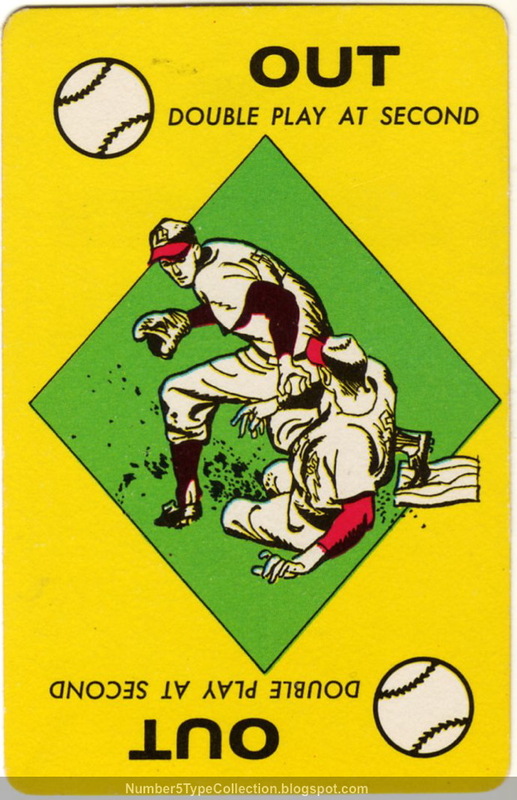 In 1964, they came out with versions for many different Major League Teams including the NY Mets, LA Dodgers, St. Louis Cardinals, Washington Senators, Boston Red Sox, Pittsburgh Pirates, and Baltimore Orioles. Lots more information on other Ed-U-Cards at Roadtrip-'62. Pretty much the same as a real game of baseball. 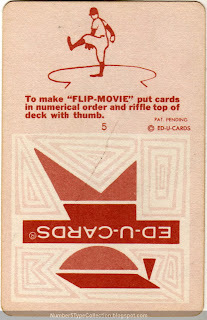 Each card has a play, like "strike", "single", "ball", "double play" and you draw cards. If you draw 3 strikes, you get an out, if you accumulate 3 outs, it's the other person's turn to play. Tally up any runs you score and play 9 innings worth.